A beach listen, Cinderella story. This seems to be Moyes’ formula: Down and out, everyday gal falls for wealthy, but damaged guy. Both of their faults conspire to keep them apart until they come together, see the errors of their ways, and in this case, live happily ever after. Me Before you was Moyes’ best effort. This one is predictable but pleasant if you’re in the mood for a mindless romp. 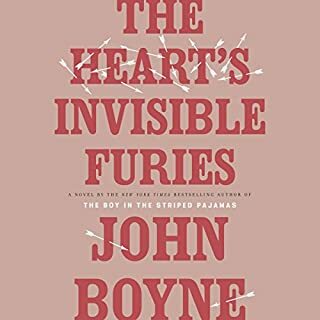 Others have written synopses so I’ll just say The Heart’s Invisible Furies is beautifully written. It is, at its essence, a story about love and the importance of family. The characters are well developed and the story weaves back and forth so that by the end every thread is resolved. It is poignant, heartbreaking, funny, and redemptive. I loved every minute of Flight Behavior. The plot was tight and characters were complex and well developed. The story touched me on several levels. I have raised sheep and processed wool on a small farm in northern New England where we have felt the effects of our changing climate. It is terrifying and profoundly sad. I also know the suffocating feeling of being in the “wrong” marriage. Finally, as a retired college professor, I deeply understand the urge for education and the freedom it can bring. Education pulled me out of a trapped life as it promises to do for Dellarobia. It felt as if Kingsolver wrote this novel just for me. I was deeply touched by the relationships and interactions of the characters. 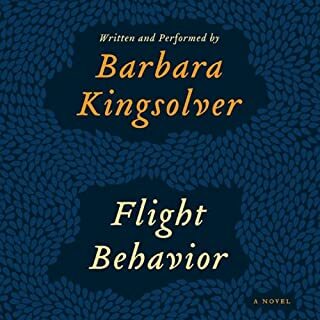 Kingsolver must have borrowed from personal experience in order to develop the dialogue and personalities with such sensitivity and accuracy. Of course, the most vital plot line in Flight Behavior concerns the devastating effects of climate change. Kingsolver handles the topic with finesse. In the book, global warming is characterized by the monarch butterflies. Their plight is ours. Where do we go when home becomes unlivable? Barbara Kingsolver manages to explain the science of climate change and its impact on species and natural systems as part of the story without sounding didactic or preachy. This novel was just so tight. Each aspect of the plot serves as a metaphor for the other. What a writer! And what a researcher! By the way, I love Kingsolver’s narration. I love her slow southern voice. Her use of language is lovely. Listening to her sounds like an author reading poetry. Okay, I’ve gushed enough. Clearly I loved this book. I hope others will, too. 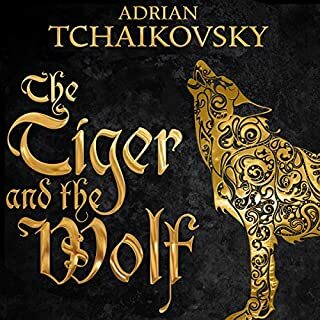 I loved Adrian Tchaikovsky’s Children of Time and had high hopes for The tiger and the Wolf. Sadly, I did not think this novel had the depth nor the imagination of the earlier book. The novel seems heavily based on Native American lore. Tchaikovsky’s characters have the capacity to “step” from human to animal (totem) form and back. This ability drives the plot of The Tiger and the Wolf. As the story unfolded, I sensed it was taking place at some time in the distant past, well before Europeans had contact with native Americans. The lines between the worlds of flesh, spirit, and magic are blurred which is also vital to the plot. None of the above bothered me, although listening, it took me some time to sort out which character was which. Moreover, I was bothered by the narration. This book would have been much better in audio with two narrators, one male, the other female. Kayla Garcia’s voice was consistently feminine, and at times juvenile. This didn’t work when she tried to voice male characters. They all sounded silly, like what they were: a high-voiced woman trying to sound like a man. Additionally, Ms. Garcia’s interpretation of the characters’ manner of speech sounds like an old Hollywood cliche of an “Indian” talking. (Think Tonto saying, How?, to the Lone Ranger). As usual, the author deals with contemporary issues. In this novel it is the concept of being biracial (bi-species/totem) as well as the relationships between all of the species/tribes that creates conflict. Sadly, the good guys and bad guys were all one dimensional. Even the character “surprises”, there were a few, were easily foreseeable. All in all, the story of Tiger and the Wolf was very predictable. Perhaps this is to set the scene for the subsequent books? The problem for me is that the fantasy genre can so easily become formulaic. What I loved most about Children of Time was that, although I could figure out where it was going, it was wonderfully imaginative. In it Tchaikovsky seamlessly wove his story with higher philosophical questions. This time The author borrows from Native American tradition but the plot is too simple, the characters are flat, and the conflict is trite. Stick with this. The beginning might seem a little confusing as you peek into the lives of several characters, however, it all eventually comes into focus. 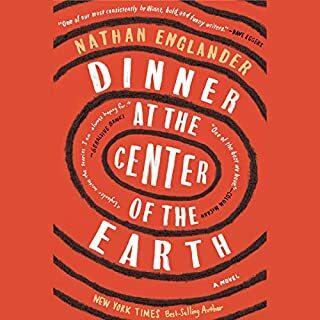 Dinner at the Center of the Earth perfectly illustrates the ambiguous frustration of the Palestinian/Israeli conflict. It’s been a long time since I’ve listened to a book I’ve enjoyed so much. Children of Time gets added to my short list of all-time favorites. 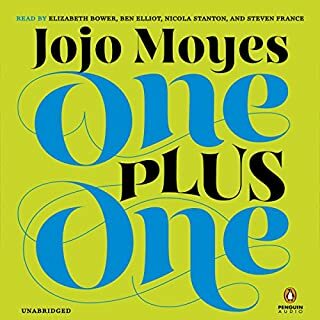 I don’t want to ruin the story for you, so I will try to give you an idea of the book that might have helped me during my search for a good listen. The novel deals with the imperative to survive common to humans and other living creatures. It deals with AI, biological and genetic engineering, power struggles and ego, religion, superstition and the creation of myth, and the rise and fall of civilizations. Throw in some gender politics dealt with in a novel way, a terror of the OTHER, and a sort of love story. Sounds epic. 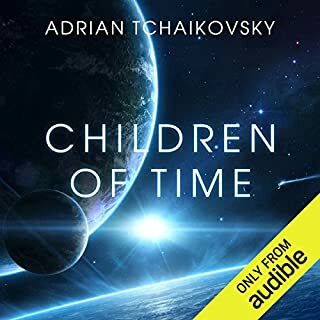 You’d think Tchaikovsky would have lost control of this novel, but the author builds a fascinating, cohesive story about the struggle for the survival of what’s left of humanity (and other things) far far in the future. I will listen again, and I almost never do that. But aside from an engaging story there are many philosophical and scientific questions to consider. I’ve asked my son to read it so we can discuss it. I really want to talk about this book. 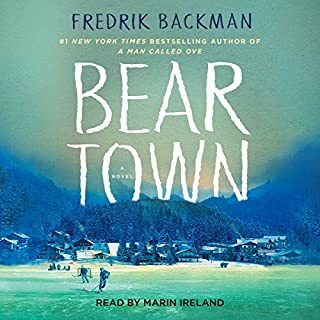 Different than Backman's other novels as the subject matter is serious and painful. However, as always Backman writes with tender humanity. His use of language as he incorporates repetition and sound to create a rhythm that beats throughout like poetry. The history covered regarding the racism and consequent violence faced by the Chinese in Seattle and adjacent territories in the late 19th and early 20th centuries was interesting. Sadly, the plot was predictable, and frankly, vapid. One could read the novel's description and figure out its formulaic trajectory without bothering to read the book. 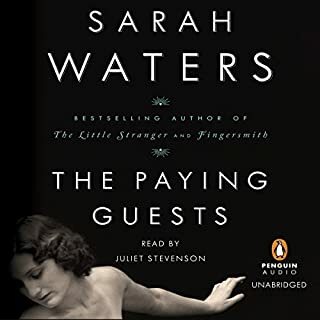 If you’ve listened to books by Sarah Waters before, how does this one compare? I read Fingersmith and enjoyed it very much. She did a good job with all of them. "The Paying Guests" disappointed me. It took a long time for me to "get into it," and I never liked any of the characters. When the action finally got interesting, by the middle of the novel, I wanted the outcome to be more like Ethan Frome. I was most interested when it seemed that Lilian had used Francis, and that the latter would have to find a way to deal with that in addition to the crime they had committed. In the end they both characters are cowardly. This was one book where I didn't want a happy ending. It left me very dissatisfied. Nevertheless, the novel asks some very interesting moral questions, and as a reader I found myself asking, what would I do in the same situation. By the time I had finished, despite my disappointment, I thought the outcome seemed oddly realistic. Interesting to contrast Francis' cowardice with her brothers' bravery in going off to war and being killed for it. Can't help asking, who got the better deal: life/freedom as a coward and a cheat or death in the line of duty? 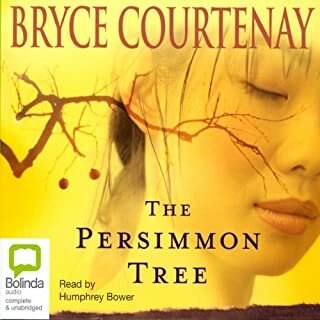 What did you like best about The Persimmon Tree? What did you like least? After having read several of Courtenay's novels I concluded that he had developed a formula that became very pronounced in this book: An unlikely hero humbly ambles through one (often unbelievable) adventure after another. Always self deprecating, our hero consistently wonders why he is being awarded medals, women, riches, etc. that he insists he doesn't deserve. I also did not like the treatment of the female characters in the novel. They are flat and predictable. Courtenay's mothers are always the same crochety, auto-didactic crone, the love interests (and there are many in this book) are equally anticipated: they are beautiful, intelligent, hard-to-get, but are always willingly (and sometimes manipulatively) conquered by our humble hero. 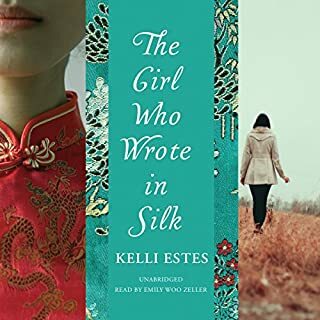 It was particularly funny to me that all of the female characters who meet our hero fall in love and manage to "service" him EXCEPT the main love interest, Anna, who even after living through the Japanese occupation of Java, manages to remain a virgin until she is around twenty-six years old (and a heroine addict who owns a "brothel") and is reunited with our hero. Yeah, right. Another problem with the book is its redundancy. Courtenay repeats himself frequently.This book was written when the author was seventy-four years old. Listening to it was like listening to the fantasies of an old man. If you want to really enjoy Bryce Courtenay at his best, listen to the Power of One and Tandia or The Potato Factory Trillogy. I have all of Bryce Courtenay's books on my wish list and have already listened to half of them (there are several). I will probably listen to the others because, in the end, Courtenay tells a good story, and the history he covers is very interesting. Also, his books are long, and I love really long audio books. But for now, I need a break so I am finishing the Night Watch series by Sergei Lukyanenko. After that I will listen to A Thousand Splendid Suns, by Khaled Hosseini. Have you listened to any of Humphrey Bower’s other performances before? How does this one compare? Humphrey Bower is a good reader who is capable of a range of accents and voice levels, however he uses the same voices for each ethnic character he tackles. He used the same black American accent for both the character of Jimmy in Brother Fish and Joe in The Persimmon Tree. Courtenay constantly rails against racism in his books, but his writing contradicts the message as his characters embody unflattering stereotypes. Adding to the problem, the characters in The Persimon Tree were particularly flat. Once you've listened to several of Bower's readings of Courtenay's books the issue becomes annoying. If you haven't read this one, don't bother. While the historical aspects are interesting, the story is ridiculous.